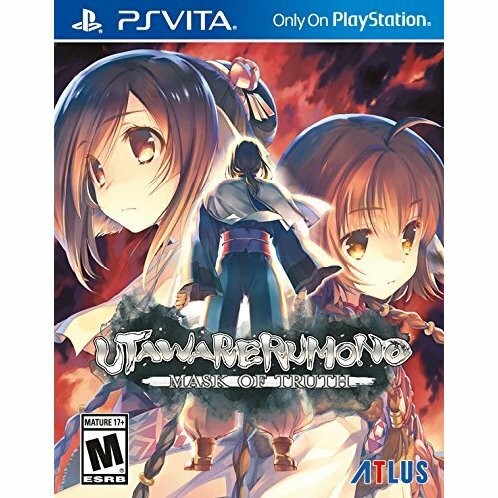 Utawarerumono: Mask of Truth is the final game in the Utawarerumono trilogy, which started back in 2002 on PC before moving over to PlayStation platforms. It includes this title, which has been localised for the PS4 and PS Vita in the West. Additionally, anime adaptations, drama CDs, manga and more were made for the series. If I described Utawarerumono: Mask of Truth in a nutshell, it is a story themed around identity and the sacrifices you make in order to save those you hold dear to you, as well as the surrounding world. The story has an interesting setup, brought on by the first two titles, and it is executed very well. 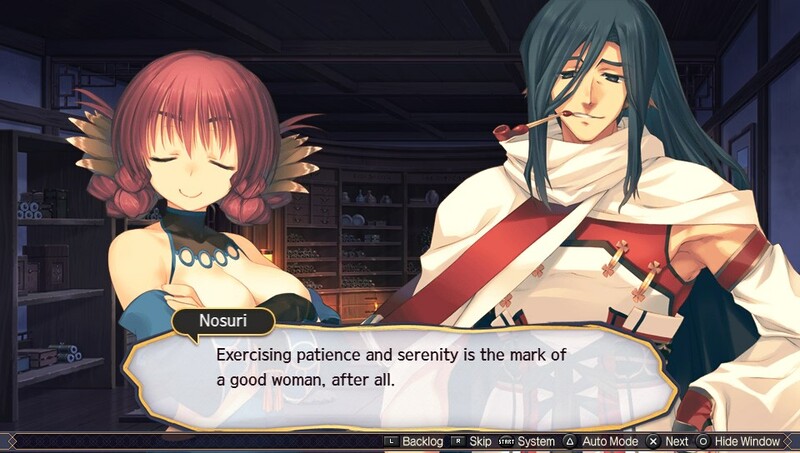 Nosuri giving life advice on living as a woman. Some would argue that what a “good woman” is cannot be defined by men. 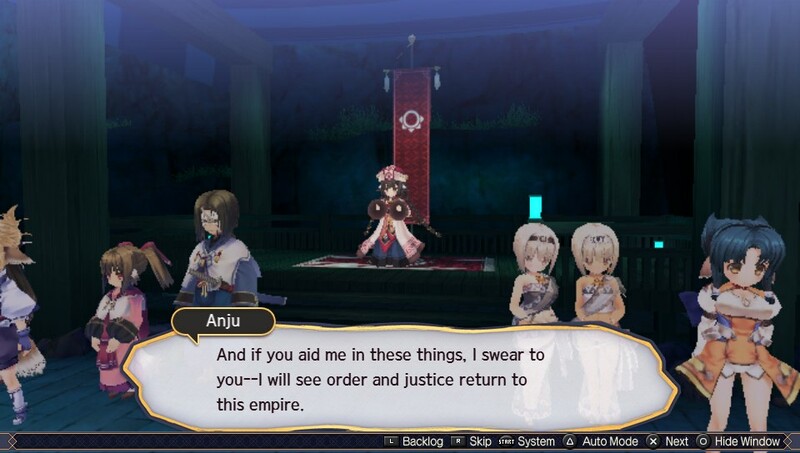 Following on from the ending of the second game, the protagonists have to help Anju reclaim the capital city as well as her rightful place as the heir of Yamato. This was after a rebellion by a powerful enemy to take the throne for themselves. This leads to an adventure that becomes so much more than is originally let on. 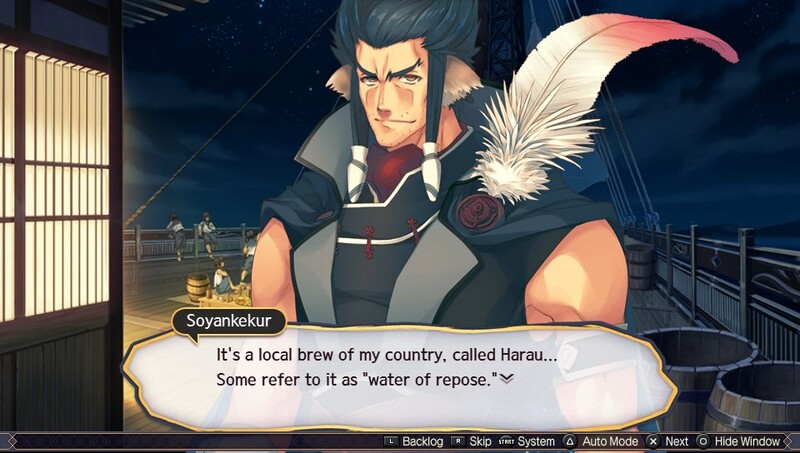 The motives of the villains are deeper than what is originally suggested, characters both old and new have been fleshed out even further (including more characters from the original Utawarerumono) and there are many tear-jerking scenes throughout the story, especially in the back end of the game. I strongly advise that you play/watch the first two games (titled Utawarerumono and Utawarerumono: Mask of Deception/False Mask respectively) first, as this title is not standalone and you will miss several key plot points as well as background information. One of the more interesting side plots in this game was Oshtor teaching hiragana to Nekone. Kudos to Atlus/Aquaplus for doing this engine recoding. One of my main issues with Mask of Deception’s storytelling was that there were a lot of filler slice-of-life sections in comparison to other sections that drive the story. This issue has been fixed in Mask of Truth with very little of the storytelling content feeling like filler. Everything has some level of relevance, even the slice-of-life scenes. Likewise, the fact that the story is engaging from the start and begins to become an emotional thrill ride a lot sooner than in Mask of Deception suggests to me that Mask of Deception’s storytelling should have been at the level Mask of Truth was for the whole game. This also extends to the various unanswered questions that were raised during Mask of Deception. All of these questions are answered in Mask of Truth, with no stones left unturned. This is definitely one of the best CGs in the game. 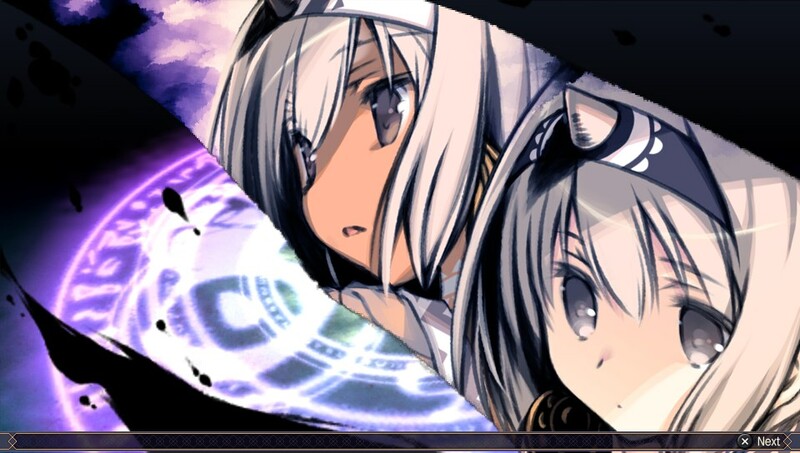 It shows off the beautiful artwork in this game. The quality of the art and music remain consistent from Mask of Deception. The new CGs are beautifully rendered on the Vita’s screen (from veteran illustrator Matsumi Misato), as well as the new music made exclusively for Mask of Truth. Many tracks from Mask of Deception reappear (as well as more reorchestrated pieces and one original from the first game’s OST) for added familiarity and fan service. There are additional vocal songs (sung by Suara) that play during key battle and event scenes, adding extra atmosphere to the title that really elevates the game’s presentation to the next level. The localisation, handled by Atlus, was also an improvement on Mask of Deception and I couldn’t spot any typos or mistakes (whereas there were a few in Deception). This is minor, but it really helps add an extra layer of polish to an already well-presented title. The lexicon that Aquaplus created really aids with the world building. That said, the visuals on the PS Vita version also remain consistent (if not slightly worse) with its predecessor. While the ADV scenes flow with almost no issues, the graphics take a hit in the event scenes and there are occasional framerate dips and freezing during the 3D scenes as well as the SRPG battles. Hence, I would argue that if you want the true “cinematic” experience, you would be better off playing it on PlayStation 4. However, if the portable “VNs are like a book” experience appeals to you, then the PS Vita version does the job here. It’s about personal preference here if the technical issues do not bother you. The future Mikado motivates her troops. Note the rough-looking character models. It is also worth discussing the SRPG segments, which have been improved and expanded on since Mask of Deception. Firstly, there are more of them, with a total of 26 battles compared to the 19 battles found in Deception. They are also longer and more challenging, which relates to the story being more war-heavy. 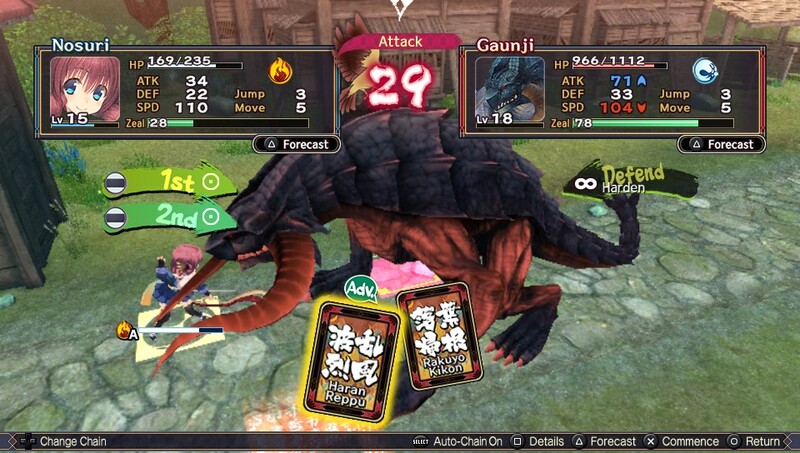 There are additional characters you can bring onto the battlefield, including Anju (as seen in the promotional material for this game). The UI has been changed, meaning it looks significantly cleaner and is easier to use. For example, there are two kinds of Action Chain prompts within Mask of Truth’s battle system. If you press the button on the Normal Attack Chain at the right time (or press/release the Charge Gauge for the Charge Action Chain at the right time), you get a critical hit. Grid-based battles return, and so do castle walls. 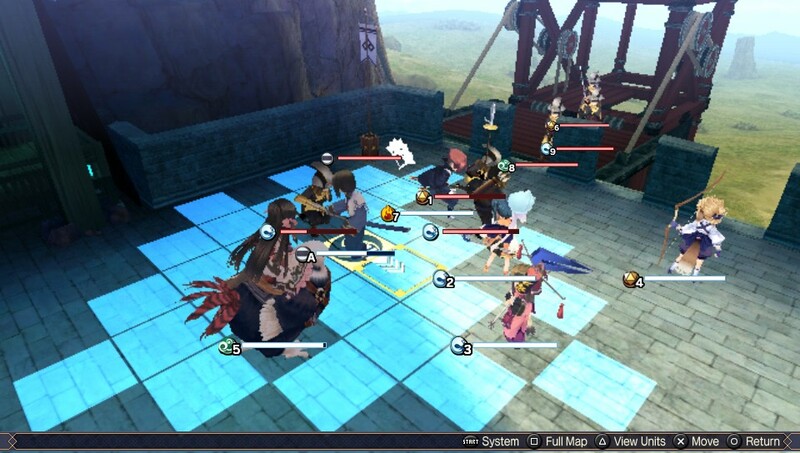 Battle system mechanics like the Zeal system have been outlined in more detail than in Mask of Deception. I found the battle system a lot more intuitive in Mask of Truth than Mask of Deception, in part due to the improved tutorials. There are a couple of new mechanics, too. There are Co-op Attacks and Co-op Finals, that can only be used when you are in Overzeal Mode, which is when you successfully fill your Zeal gauge. These attacks factor in the other player’s stats and can add additional damage on top of the first ally’s attack. This is available alongside Final Strike, a feature carried over from Mask of Deception. That doesn’t look like the Big Bad Wolf. Furthermore, there are “Munechika’s Trials,” “Red vs White” as well as the postgame “Dream Arena” modes available. “Munechika’s Trials” is basically a challenge mode where you need to complete stages under certain conditions to win rewards. “Red vs White” is a versus mode where you can put your party members against each other in mock battles to gain experience. The winners of these battles gain additional BP skill points. These skill points allow stats to be strengthened, which will be useful in later battles. Furthermore, the “Dream Arena” is a postgame mode where you take part in very difficult battle stages, testing your knowledge of the battle system. All these add to the game’s longevity and cater to those that are more interested in the SRPG aspect of this title. Uruuruu and Saraana have the best Final Strike attack. I cleared the title in 65 hours and thoroughly enjoyed the game, and it only makes me desire more official localisations of Aquaplus games (especially their older titles that got released on PS3). 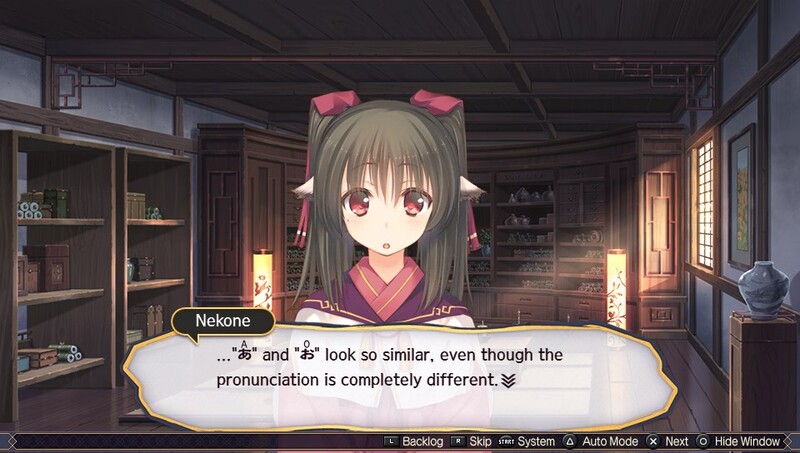 When both of the recently released Utawarerumono titles are factored together, they tell one of the best stories in gaming that has released in the West this year. I would argue that it is almost as good as Persona 5’s story (and this is just among the titles I have personally played). 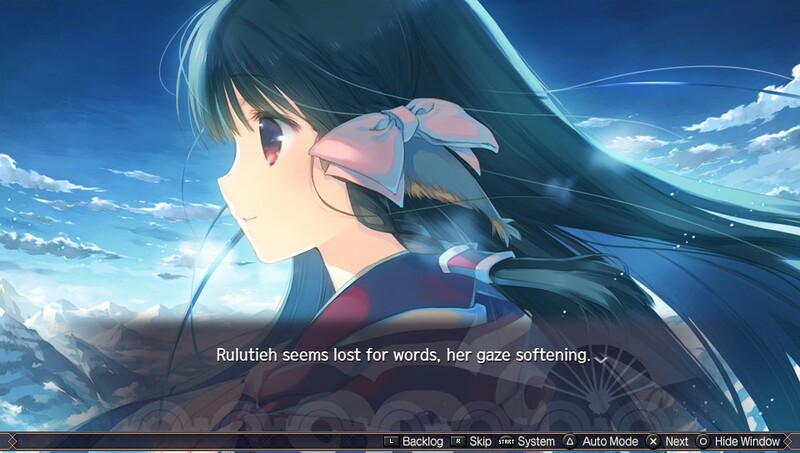 In short, if you are a fan of visual novels and have consumed the relevant media relating to the series beforehand, Utawarerumono: Mask of Truth is essential. It is a fitting end to such an interesting and unique series and, priced at $49.99 on PS4 and $39.99 on PS Vita, is great value considering the title’s length. It helps support the case for why visual novels (and to an extent, SRPGs) are an excellent medium for writers to tell stories.